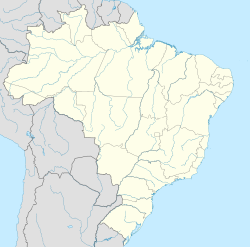 Olinda (Portuguese pronunciation: [oˈlĩdɐ]), is an historic ceety in the Brazilian state o Pernambuco, locatit on the kintra's northeastren Atlantic Ocean coast, in Greater Recife (caipital o Pernambuco State). ↑ "Olinda". Encyclopædia Britannica. Chicago, Ill.: Encyclopædia Britannica, Inc. This page wis last eeditit on 22 Apryle 2018, at 16:50.